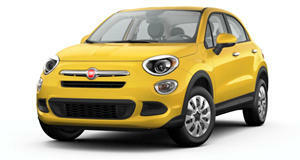 Fiat’s return to the North American market in 2011 following a 27-year absence was a big deal. After all, it gave birth to the name Fiat Chrysler Automobiles (FCA) following Fiat’s acquisition of then-struggling Chrysler. At the time, Fiat offered the type of vehicles Americans wanted, small and fuel-efficient models. But that was then. Today, Americans have moved passed sub-compact hatchbacks, like the Fiat 500, in favor of larger (and thirstier) trucks and SUVs. Old habits die hard. Or not at all. 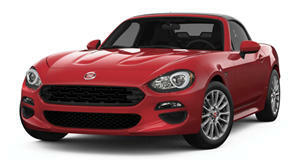 Fiat’s current lineup, unfortunately, does not cater to American tastes like it once did. As The Detroit Bureau reports, Fiat sales took a nose dive last year and the outlook isn’t looking good unless something is done soon. And that something means new models that Americans actually want to buy. 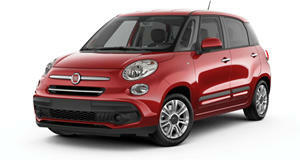 Aside from the 500 hatchback, Fiat currently sells the 500L small minivan, 500X crossover, and the 124 Spider. Aside from the 500X, this lineup essentially falls under niche categories. But the 500X also isn't safe due to serious competition from rival brands. It also never reached the sales figures Fiat hoped to see. However, at the 2018 Geneva Motor Show, former CEO Sergio Marchionne made clear that "I’m not killing Fiat,” but also admitted that "Fiat’s presence in the marketplace is gone.” It’s almost as if Marchionne’s statements cancel each other out. 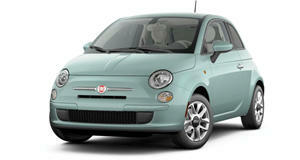 There was another recent report claiming the next-generation Fiat 500 will move upmarket and become an EV-only. But will it be sold in the US? Electric vehicles are no longer tiny cars and Americans are clearly aware of this. Before Marchionne’s unexpected passing last summer, he outlined FCA’s five-year plan that shows Fiat, Dodge, and Chrysler receiving 25 percent of investment spend and will represent 20 percent of net revenues. That’s not a direct commitment to keeping Fiat alive in the US. Until Marchionne’s successor, Mike Manley, says so otherwise, Fiat’s American future isn’t looking too bright.